How fast does time go by? Francie had her birthday while I was away at Stampin' Up! Convention in Melbourne so we went out for dinner last Friday night to celebrate belatedly. Unfortunately the main picture of the card is not quite as good as the close up of the butterfly that follows. The paper used on this card is Twig from Little Yellow Bicycle and the card stock was from Bazzil. Stamp set is from Verve Stamps and the dies are My Favorite Things and Nestabilities. The little leaf is from the Stampin' Up! Owl Punch and the butterflies were created using the Beautiful Butterflies Bigs Die by Stampin' Up! You really need this die, so please email me to order your very own :) The lingerie ribbon was a gift from my friend Kerrie and the Linen Thread, Old Olive Button and Pearls are all from Stampin' Up! Ink colours were Cool Carribean, Night of Navy and Old Olive. Thought you might like to see a convention gift that I made for a friend. This is a little Surprise Present box that we made during one of our team meet ups and I recreated it for a gift for a Stampin' Up! mate. I have used Elegant Soiree DSP and the co-ordinating card colours are Baja Breeze, Crumb Cake and Night of Navy. Punches used were Scallop Oval, Decorative Label, Word Window, Two Step Bird and Boho Blossoms. 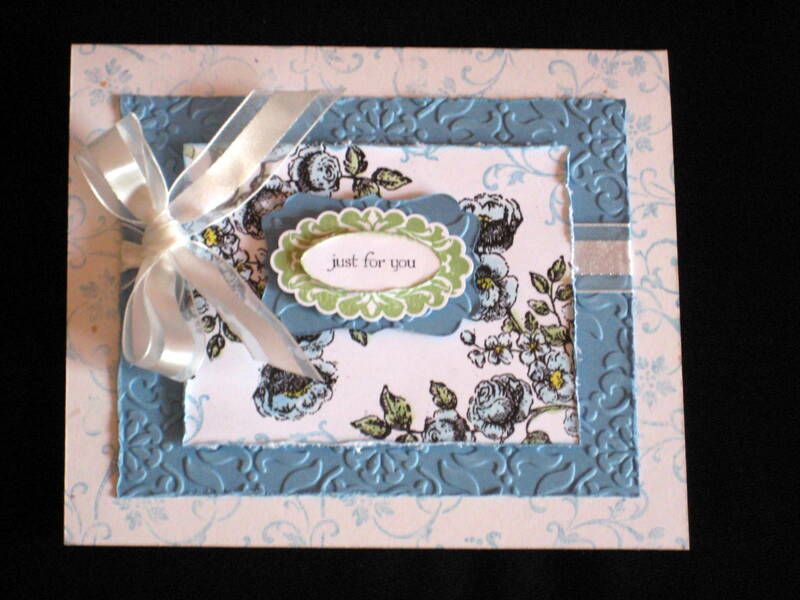 Also used the Little Leaves Sizzlits Die and the greeting is from Teeny Tiny Sentiments. The word "Friends" I purchased from Loot Homewares. Are you ready for another weekly bonus offer? There are no limits to the number of Deals of the Week you can purchase and no minimum purchase is required. * Now is the time to stock up on your favourite products! Be sure to hurry and purchase each week’s deals early on so you don’t miss out! When the new week’s deals start up each Wednesday at midnight, the last week’s deals are over . . . forever! Remember, there is no limit to the number of Deals of the Week items you may purchase and this deal finishes Tuesday 24th May at 11.30pm. Are you ready for some weekly surprises? You may have seen our ad in the May issue of your favourite crafting magazine letting you know that throughout the month of May, we are bringing you a new deal on our exclusive products every week! 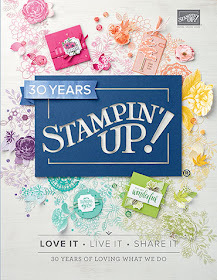 Check out the Stampin' Up website every Wednesday in May, and get up to 40% off a selection of incredible products from the 2010-2011 Idea Book & Catalogue! There are no limits to the number of Deals of the Week you can purchase and no minimum purchase is required. * Now is your time to stock up on your favourite products! I'm away in Melbourne for a few days at the SU Convention. If you want to order anything just email your order through to me. I've been busy the last couple of weeks prepping for my Shabby Chic Class. It was hard coming up with designs for this class as I was hoping and praying that we would get the beautiful Springtime Vintage DSP in the Aussie SAutumn/Winter Mini, but alas that did not happen soI had to come up with my own DSP .. well not sure if that happened either, but here are the results. This is my Blue Shabby Chic card. I used Elements of Design stamp set as the main stamp set for this card and the card colours are Marina Mist, Confetti White and Daffodil Delight. I also used Teeny Tiny Sentiments and Perfect Punches stamp sets. Punches were Large Scallop Oval, Small Scallop and the decorative Label Punches. You can see Vintage Wallpaper Embossing folder and the ribbon is the Whisper White Organza Ribbon. Ink colours are Marina Mist, Daffodil Delight and Wild Wasabi. 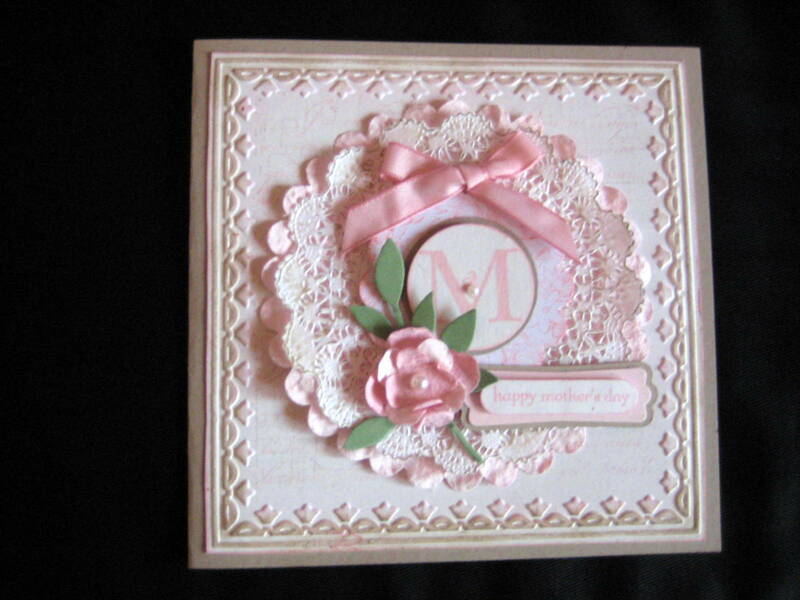 Now here is my Pink Shabby Chic Card. This photo is not so good but card colours are Crumb Cake, Pink Pirouette and Whisper White as are the ink colours. I have used the Framed Tulips Embossing Folder and punches are 1.3/8", 1.1/4", Word Window and Modern Label. Sizzlets were Floral Fusion, Little Leaves and the PUnch Windows Magnetic Movers and Shapers Moveable Pieces. You will also see the Scallop Circle BIgz Die and the doiley is one that I purchased myself.Ribbon is Pretty in Pink Taffeta and I've used the Basic Pearls to finish the card off. BTW ... I also produced quite a few extras fo the Pink Shabby Chic card and am using them for some of my 2011 Stampin' Up! Convention Swaps. I leave for Convention tomorrow and am looking forward to a few sneak peeks for upcoming 2011/2012 Idea Book and Catalogue. Are you ready for some weekly surprises? 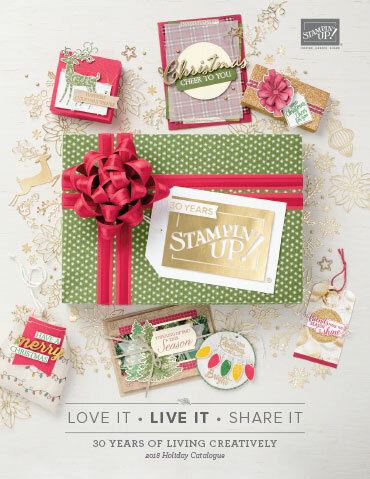 You may have seen the Stampin' Up! ad in the May issue of your favourite crafting magazine letting you know that throughout the month of May, we are bringing you a new deal on our exclusive products every week! Check the Stampin' Up! website every Wednesday in May, and get up to 40 percent off a selection of incredible products from the 2010-2011 Idea Book & Catalogue! The Deals of the Week promotion lasts 1-31 May. If you are interested in any of the above, please contact me, to place your order.